Sharp copiers come loaded with functions that will help you achieve plenty of tasks simultaneously and with ease. When you buy a Sharp machine, you know you are not going to be wasting any money. This is because Sharp provides great value for money! The Sharp M654N is an all in one, black and white, expandable solution. It has a standard paper capacity of 3200 sheets, which can be increased to 6700 sheets. Make use of finishing options such as stapling, saddle stitch, folding unit and an inserter, to insert pre printing cover to documents before final finishing, when using the MXM654N MFC. The Sharp MX B201D packs plenty of high performance into a compact, efficient design. 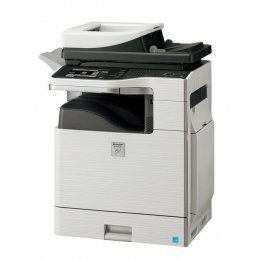 With its powerful copy, print, scan and optional fax capabilities, the MXB201D is an excellent addition to any small office and, thanks to its small design, it can fit into any space. The Sharp MX B201-D delivers at speeds of up to 20 ppm and can print and copy on both sides of the page. The Sharp MX3116 is a full color workgroup document system that can copy, print and scan. 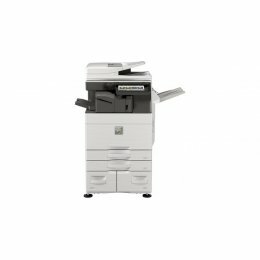 The MX3116N can print at speeds of up to 31 pages per minute in both color and black and white. The MX 3116N features as standard networking, auto-duplexing, a 500-sheet paper drawer and much more. The Sharp MX-B402 Multi-Function Printer can print at 40 pages a minute and the toner cartridge has double the toner capacity and lifespan versus that of the previous MX-B401 model. The Sharp MXB402 utilizes a tool-free, refillable developer system, enabling smooth free maintenance. The Sharp M565N is a wireless multi-function. It will copy, print, scan and has the option of fax. Make use of a 150 sheet duplexing document feeder and scan both sides of a document at a speed of 170 images per minute. 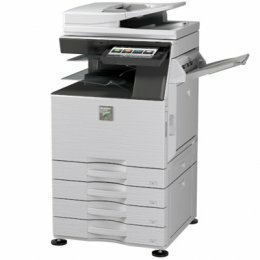 This Sharp MXM565N Copier is highly productive and energy efficient. 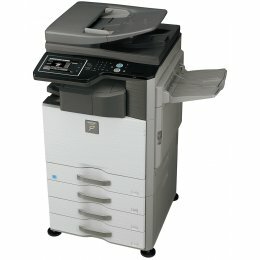 The Sharp MXM564N will copy, print, scan and fax. It will print in black and white at a speed of 56 pages per minute and scan in color at 56 pages per minute. Use the 7 inch touchscreen with a qwerty keyboard to navigate the Sharp M564N Copier. 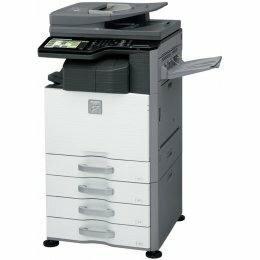 The Sharp MX-464N Copier is a compact monochrome multifunction copier that will copy, print, scan and has the option of fax. 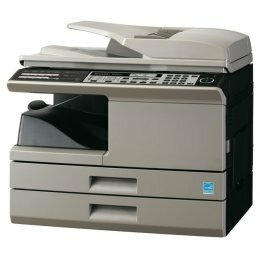 Offering high quality output at a fast speed of 46 pages per minute, flexible paper handling and various finishing options, the Sharp MX464N will enhance productivity for any busy office. The Sharp MX-3050V is a networked digital MFP that will print, copy and scan easily and efficiently. The MX-3050V Copier will deliver stunning color output at a speed of 30 pages per minute. 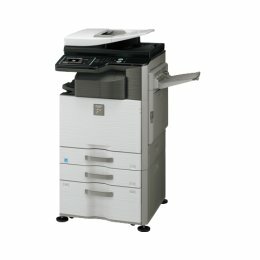 With its intuitive user interface, large paper capacity, enhanced security features and advanced finishing options, the Sharp MX3050V Copier will increase productivity for your office. The Sharp MX-4050V Copier combines copy, print and scan functions into one powerful color workgroup document system. 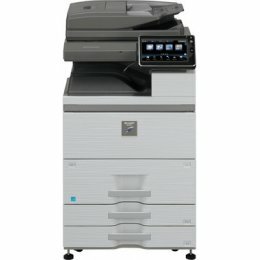 With a print speed of 40 pages per minute, a scan speed of up to 80 ipm, a built-in 100-sheet Reversing Single Pass Feeder and a large paper capacity, the Sharp MX4050V MFP will boost productivity for your busy workgroup. Sharp has tremendous power and flexibility which will allow your business to grow and flourish with all its printing and copying needs taken care of at a very low cost. They offer a huge variety of printers, copiers and multi-function devices so we can easily find you one which will suite your needs perfectly.